Studies show that children with special needs have a greater chance of developing gum disease and suffering from oral trauma and tooth decay. Thus, it’s of great importance for them to receive consistent and professional care. Children with special needs may be more sensitive around the mouth than other kids. They may also have issues opening their mouth fully due to developmental issues with their jaw, which makes it more difficult to perform regular oral hygiene practices like brushing and flossing their teeth. Still, other children have sensory challenges and may not be fond of the feel of bristles and toothpaste in their mouths. Then there are children who have limited diets and are left with only high-sugar options for food. The latter can be a major contributor to developing gum disease. A dentist who is both trained and experienced in working with special populations will know how to work around the challenges presented to ensure that your little one receives the dental health care he or she needs. The right professional will have techniques for calming frayed nerves and restoring a relaxed type of energy to any situation so that excellent oral health can be achieved and maintained. Once you find the right dentist to provide special needs care, your child may still be apprehensive and anxious about the process. A way to overcome that is with sedation dentistry. Nitrous Oxide – For this method of sedation dentistry, the medication will be delivered via a mask that is worn by your child. It provides a safe yet effective way of calming your little one’s nerves, and the effects wear off minutes after treatment is completed. Oral Conscious Sedation – For more acute cases of anxiety that border on being phobic, your pediatric dentist may recommend the oral conscious sedation method. A calming medication is given orally to help your child relax. General Anesthesia – For the most severe cases of anxiety or phobia, your pediatric specialist may suggest general anesthesia. This method will render your child unconscious during the treatment process. 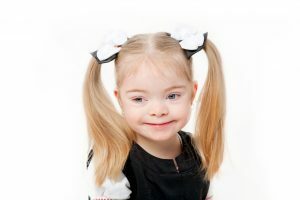 With the help of a pediatric dentist who specializes in caring for special needs children, you can rest assured that your child will receive the best care possible. To learn more, reach out to schedule a consultation with your pediatric dentist today! Dr. Layne Benzley earned his D.D.S. degree from the University of Iowa and went on to receive his pediatric dental specialty certificate from the Eastman Dental Center at the University of Rochester in Rochester, NY. He takes pride in being just as flexible as he is knowledgeable. 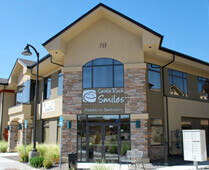 Thus, he’s able to meet the oral health care needs of all types of children. 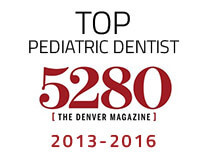 Dr. Benzley provides dental care to special needs children at Castle Rock Smiles, and he can be reached for more information through his website.